When moving to computer LC the most difficult question for me was the choice of GPU waterblock. On one hand, fullcover waterblocks are very attractive because of its well organized cooling of VGA power elements and memory chips. On the other hand, I like GPU-only waterblocks for theirs universality. After long ours of thinking I finally made my choice in favor to universality and went with Swiftech MCW60-R rev.2 waterblock for GPU cooling. This waterblock has the same base plate as his elder brother Swiftech GT. MCW60 has completely justified my choice — all four video cards that I had in past had had GPU temperatures below 50°С even when overclocked with volt-modding. 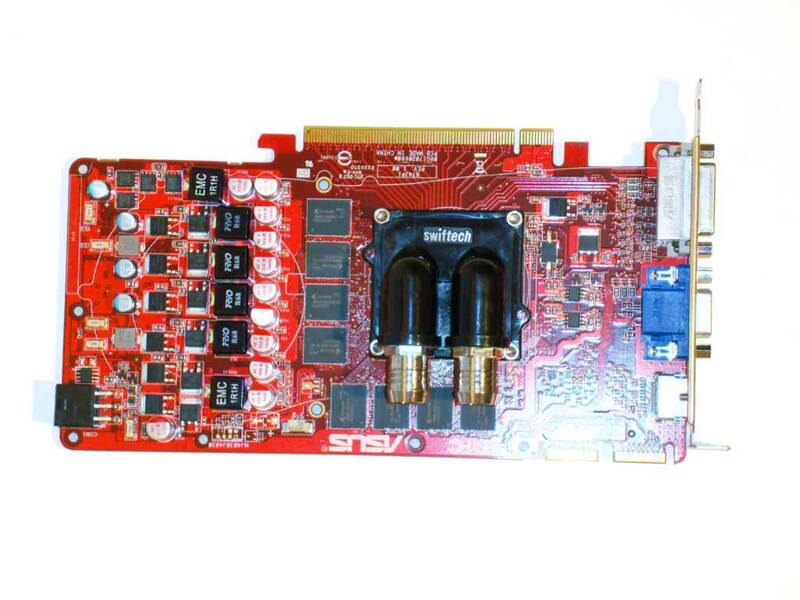 This card has non-standard for ATI video cards mounting hole spacing. 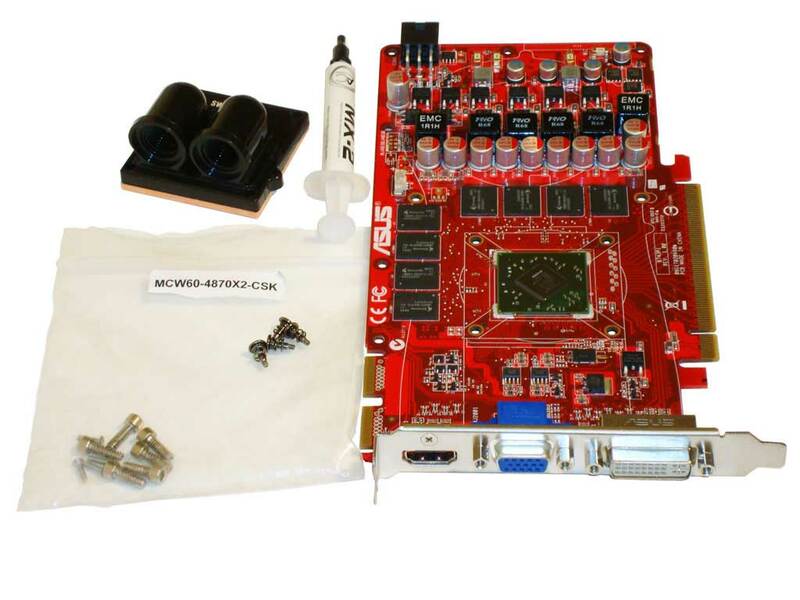 Later on, Swiftech released a kit allowing you to mount its waterblocks on ATI HD4870×2. The price of such a kit differs from 4 to 6 USD in USA. I bought that kit, just in case, when I was surfing on-line shops. This autumn I decided to modify graphics system of my PC once again — sold my GTX285 and bought ATI HD4770 as a temporary solution. Remember, this is the first VGA manufactured using 40nm technological process. When I received the new card, the first thing I came up to was changing stock air cooling to WC. I was very surprised to see this card having the same non-standard cooling system mounting hole spacing that I mentioned before. Gladly, I was ready for that and MCW60 mounting kit for HD4870×2 that I bought in advance came into handy. Remove and set aside the existing screws and hold-plate. 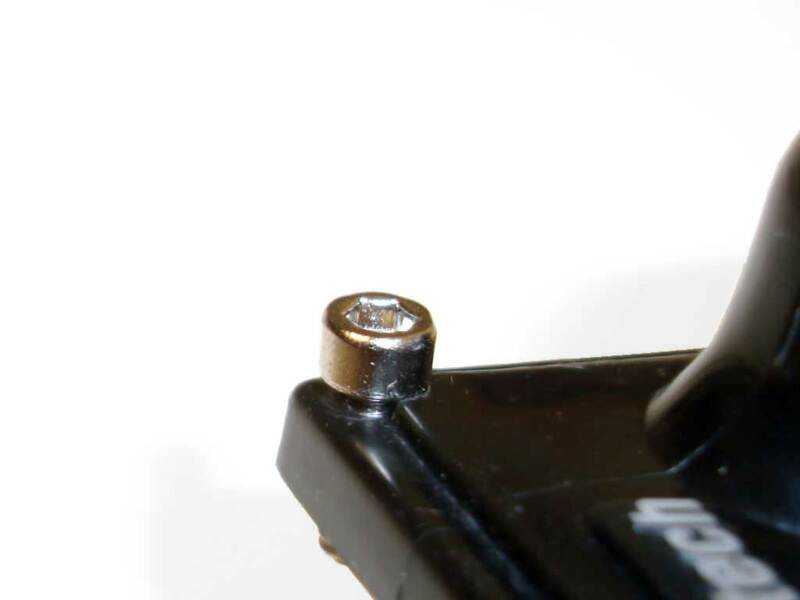 In stead of removed screws fit screws from MCW60-480×2-CSK kit — these screws have threads for WB-mounting screws. First attempt to use waterblock screws showed that is it hard to turn them (screws ) tight — waterblock top was a hindrance. 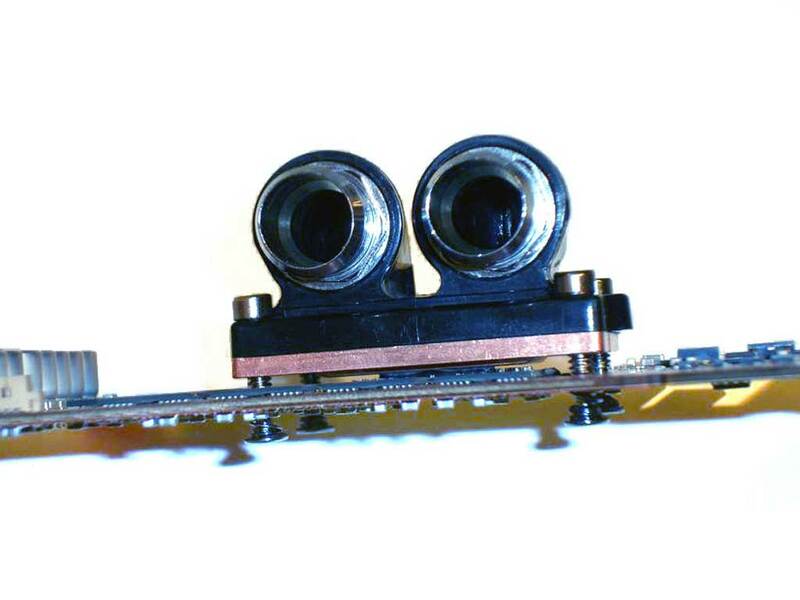 HD4770 GPU has no heat spreader — waterblock alignment error can lead to GPU corner damage. 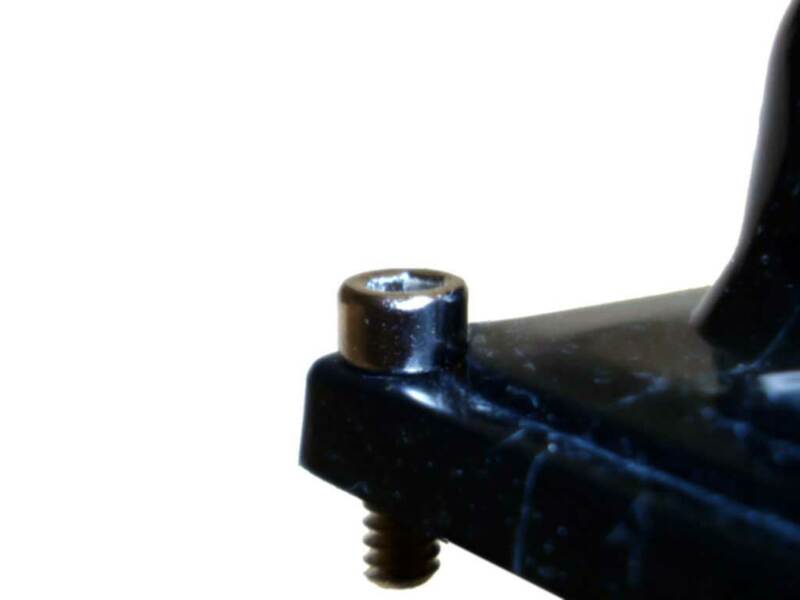 To avoid it, just put nylon spacer on screws between waterblock and card PCB. They should be 0.3-0.5 5mm smaller than the height between the board and GPU top point. I also recommend to add spacers between spring-screws and board on the back side of the block to make a better pressing.